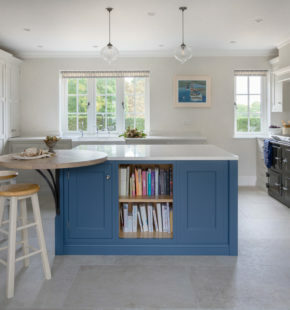 On plan this newly created space for the kitchen just looked like a regular sized room, however the client had seen a number of kitchen companies before meeting with Nick and most had suggested the rather mundane wrap around kitchen look, with three sides of the room in cabinetry and the island in the middle. 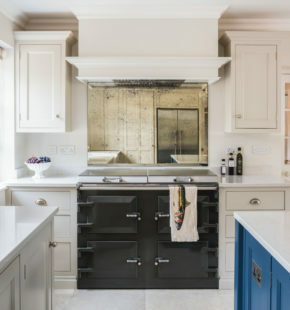 Nick’s approach was to create an area that has definite symmetry and in this instance the best place for this was around the Everhot 120i, in order to do this he created a break in the cabinetry under the window, not an obvious solution but once in the kitchen it is exactly as it should be and in fact lightens and creates a sense of style in the space while only minimally reducing the working area. 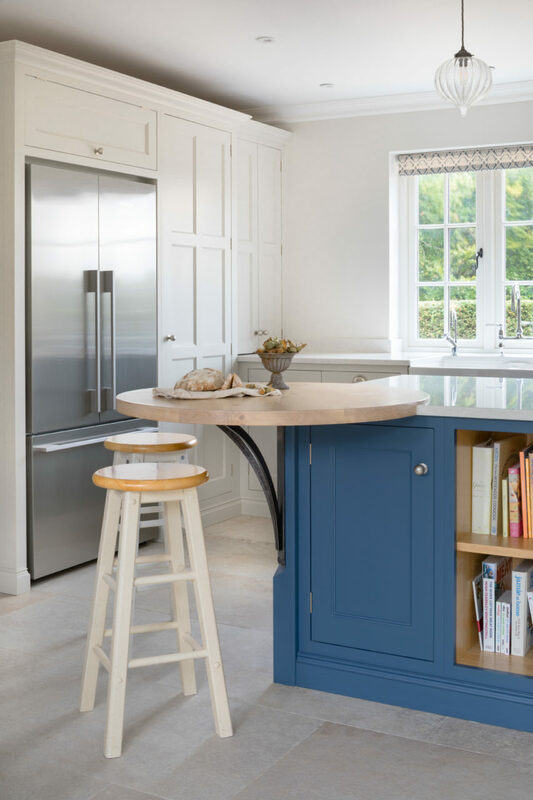 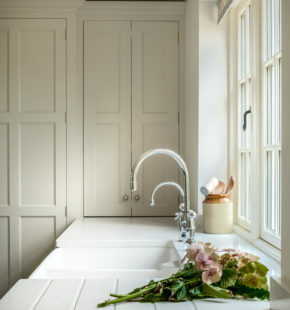 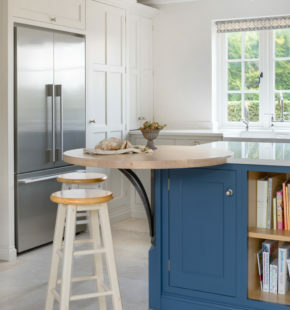 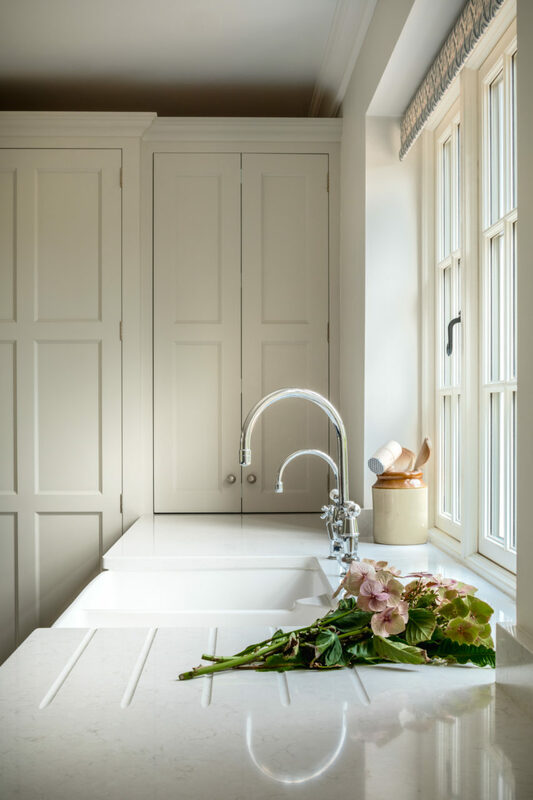 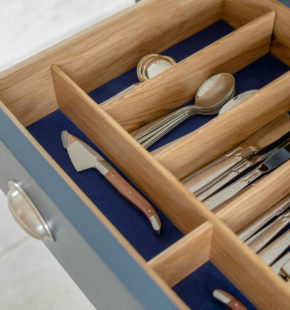 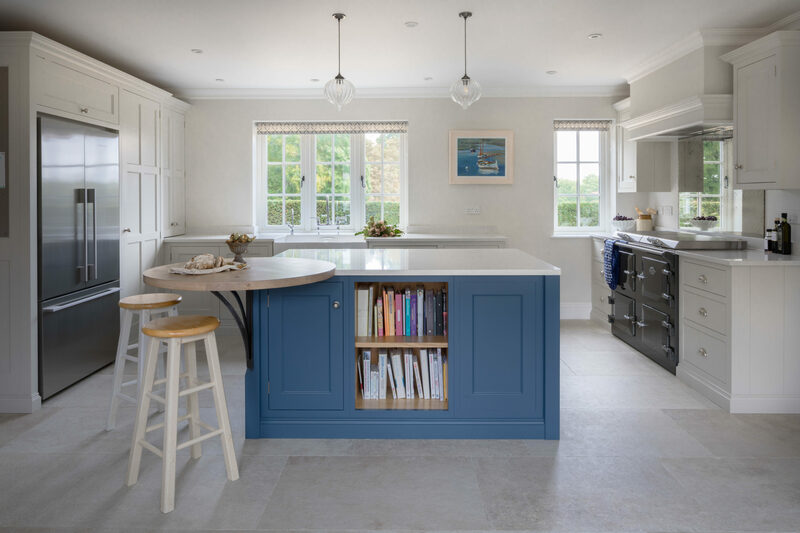 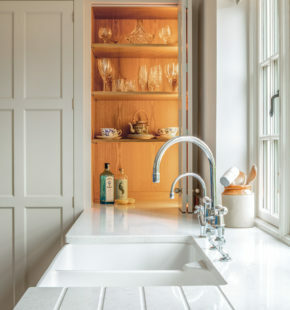 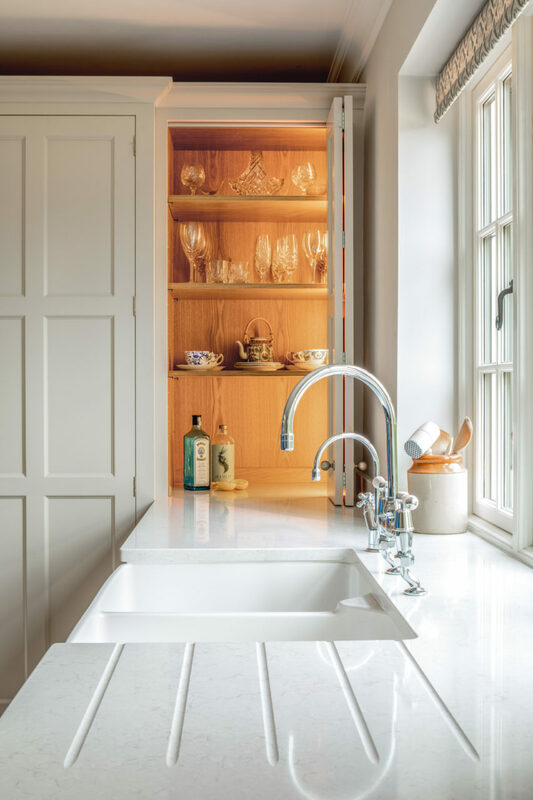 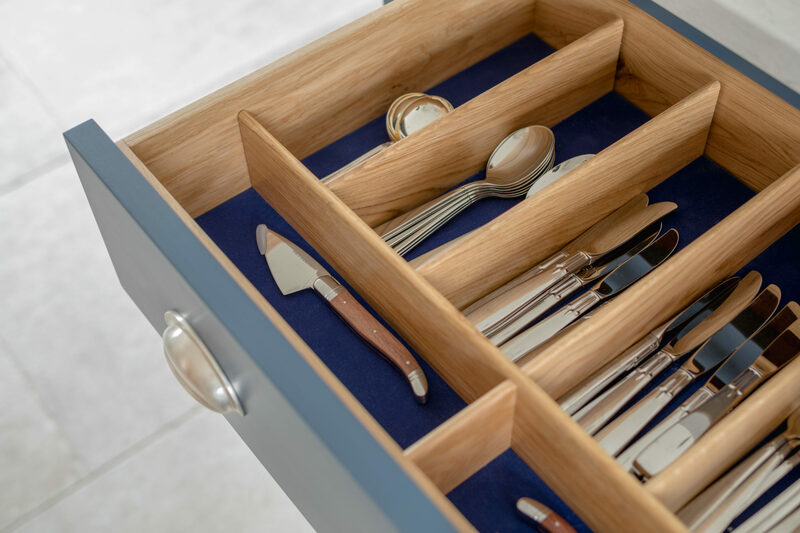 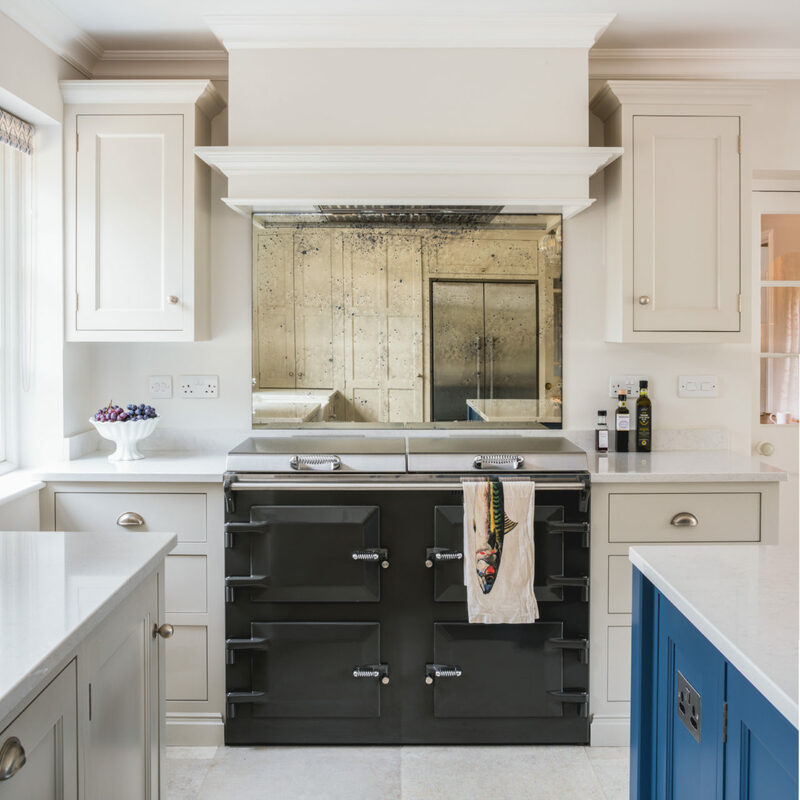 The worktop is a simple and clean Silestone Snowy Ibizia with a character oak breakfast bar situated at the far end, which compliments the Little Greene Hicks Blue colour scheme on the island. 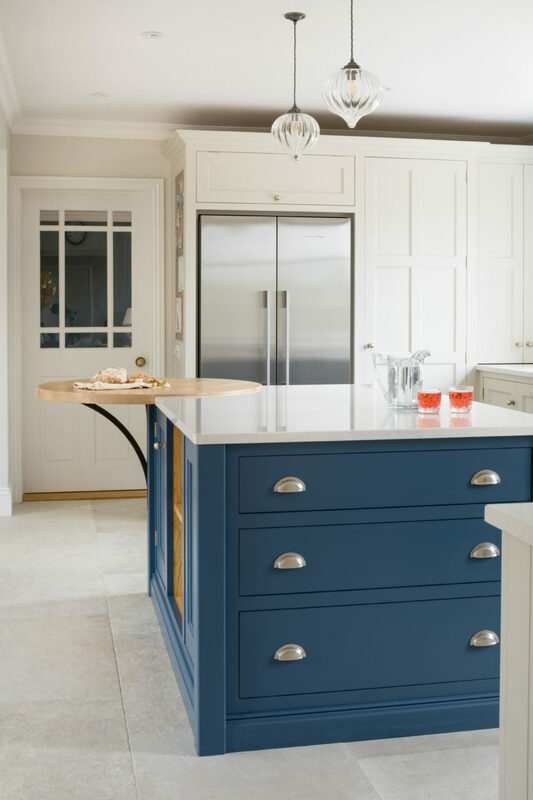 To master the colour scheme Hannah spent time with the clients looking at colour combinations with them, the clients hugely appreciated this service that we offer as part of the project. 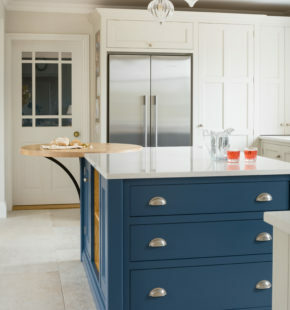 They had a paint consultancy out to advise them previously which was expensive and cost them a great deal in samples but by contrast with Guild Anderson this is not an added extra cost, we do this because many of our clients don’t have the time to experiment with colour and have little idea of interior colours that work together.